Chuck Jeffreys was born William Charles Jeffreys III on July 23, 1958 in Washington, D.C.. 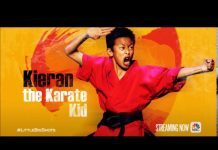 He began training in the martial arts at the age of 8 beginning with Western Boxing and Tae Kwon Do. In the early 1970’s he began training in Northern (Tien Shan Pai) Shaolin Kung fu. He became well known for his kung fu demonstrations in Jr. High School and High School. He began teaching martial arts in 1974. In 1977 Chuck created a martial arts class known as Liberated Martial Arts or LMA and established his own Wushu/LMA class in Camp Springs, Maryland at Andrews Air Force Base. His classes were branched in Germany under Shifu Leroy Thomas. Chuck began training in the Filipino martial art of Kali in 1980 and learned numerous other martial arts styles that include Long Fist, Nan Chuan, Indonesian Pentjak Silat, Shoot Boxing, Chin-Na, Grappling and a variety of weapons. He holds Black Belts/Sashes in several styles of martial arts. In 2014 he was promoted to an 8th-degree Black Sash in Shaolin Wushu under Dennis Brown and he is a 5th-degree Black Sash in Shaolin Long Fist under Sifu Mike Barry, and he was an apprentice instructor of Jun Fan kickboxing & Kali in 1990 and was certified by the legendary Dan Inosanto. Chuck created the fighting fitness program Combattitude in 1996, which is based on fight choreography and is a whole new approach to martial arts training and fitness. Chuck Jeffreys began a career in the entertainment industry as a talented actor and stuntman that this led to roles in some of Hollywood’s biggest blockbuster films. He also wrote comedy for the TV show, Pick up the Beat, which aired in the mid 80s on the ABC affiliate, WJLA-TV in Washington, D.C. and was nominated for awards for his work in 1988, 1990 and 1991. He won an Emmy in 1990 and was nominated in the other years. 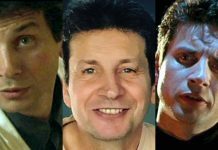 Chuck did stuntwork and stunt coordinating for numerous movies including Dead Presidents (1995), Twelve Monkeys (2015), Boys (1996), Shadow Conspiracy (1997), Black Dog (1998), Out of Sight (1998), Summer of Sam (1999), Gladiator (2000), Hannibal (2001), Book of Shadows: Blair Witch 2 (2000), Along Came a Spider (2001) and a whole list of others. He also worked in the hit TV series, Oz (1997) and The Wire (2002). 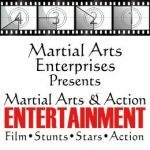 Chuck Jeffreys is a highly-skilled martial arts and weapons expert and he has had the opportunity to work with some of kung fu cinema’s famous individuals. 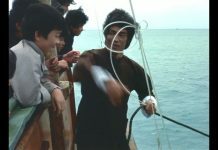 He worked with director Godfrey Ho, who directed over 50 Hong Kong cinema action films including Ninja Thunderbolt, Eagle vs. Silver Fox, Warriors of Kung Fu, Shaolin Drunk Monkey, The Dragon, The Hero and other classic kung fu films during the 1970s and ’80s. He worked with legendary Hong Kong film producer Ng See-Yuen (Jackie Chan’s Snake in the Eagle’s Shadow and Drunken Master) in two independent action films, Superfights with Karate legend Keith Vitali (Revenge of the Ninja) and Bloodmoon with UK-born kickboxer Gary Daniels (Jackie Chan’s ‘City Hunter’). 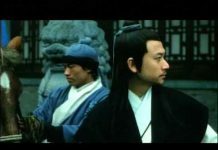 The two films were directed and the action choreographed by Hong Kong stuntman/actor “Tony” Leung Siu-Hung (star of Five Superfighters and The 36 Crazy Fists) who is the younger brother of ’70s kung fu star “Bruce” Leung Siu-Lung (Broken Oath, Little Superman, My Kung Fu 12 Kicks and Black Belt Karate). In 1994, Jeffreys went to Kowloon, Hong Kong to work in a CD-ROM martial arts video game called Supreme Warrior, made by Digital Pictures. 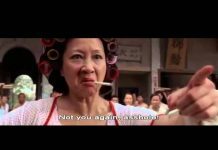 The game was filmed in the lot of the Shaw Brothers, the filmmakers responsible for creating cult classics like One-Armed Swordsman, Five Deadly Venoms, 36th Chamber of Shaolin (aka Master Killer), Chinatown Kid and many more. The game featured fight choreography by veteran Hong Kong action director “Dion” Lam Dik-On (The Storm Riders, A Man Called Hero and Exit Wounds). Jeffreys is also an experienced fight choreographer for movies. He trained actor and martial artist Wesley Snipes with the sword for Blade and help provide the fight sequences. He also choreographed fights for Spider-Man and Freddy vs. Jason, where he incorporated street fighting techniques and grappling moves performed by actors Robert Englund (Freddy Kruger) and Canadian stuntman Ken Kirzinger (Jason Vorhees). He would return again and train Wesley Snipes and the cast for Blade: Trinity in 2004.